touRRoir brought to you by Good Food Ireland® is a cross sector global business forum bringing together Food, Tourism and Culture to discuss how, through the inextricable link of these three sectors companies can grow business, local communities can flourish and destinations can ensure a more successful and sustainable economic future. As the consumers’ quest for authenticity accelerates, never before has cross-sector collaboration been so essential. The new battle for trust in terms of product, service and experience (is your labelling and provenance truthful? ), the increasing concern of the long term effects of technology disruption (Uber, Airbnb, VizEat etc) and the ability for business to adapt, as well as the fragile political social environment (Brexit amongst others) presents its own new challenges for business growth, policy formation, strategic thinking, infrastructure development and capital expenditure. With Food Tourism and Culture now the leading hook in travel, this cross sector approach is the key to unlocking local indigenous economic and social dividends as well as securing a more sustainable and equitable future. On the eve of the Forum April 23rd we will host the touRRoir International Food Tourism Culture Hall of Fame Awards in the beautiful Aula Maximas, in NUIG. The touRRoir Hall of Fame is the only recognition for individuals, teams or destinations anywhere in the world whose vision, creativity and drive has had a positive and significant impact on the development of food, tourism and culture for the long term benefit of all stakeholders including consumers themselves. touRRoir18 Hall of Fame will be a high profile gala awards dinner crafted by a collaboration of chefs and producers. In 2016 Rene Redzepi NOMA, The Catalan Tourism Agency and Lee Wook Jung a South Korean Film Producer/Director were inducted. An expert judging panel from around the world will determine the 2018 Inductees. If you are involved in any of these three sectors – Food, Tourism or Culture, then you need to be at touRRoir. 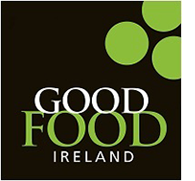 In recognition of Galway and the West of Ireland’s status as the European Region of Gastronomy 2018, the touRRoir18 global forum takes place in Galway, Ireland on April 23rd and 24th and is a flagship event for the Year of Gastronomy. If you work in the Tourism, Travel, Hotel, Restaurant or Hospitality Industry and want to learn why and how you can drive revenue growth through a cross sector, cross dependent action plan with one or all of these three sectors then you need to be at touRRoir. If you are in the Agri-food, Food or Drink Production Industry, how can you reach this rapidly evolving consumer that is searching for authenticity and trust? How can you truly communicate your story through your product, service or experience to meet this demanded customer assurance, for long term sustainable business growth? If you are involved at community or regional level in local festivals, events or activities where the co-dependency of these three sectors is integral to economic sustainable success then you too need to be at touRRoir. If you are a policy maker, destination marketer, key influencer, strategic thinker or change agent you will learn from practitioners of soft power attractiveness and the rewards of gastro diplomacy strategies. You will hear from world class practitioners and experts in a unique exchange of experiences, expertise & learnings from both within and across all three of these sectors – Food, Tourism and Culture. Keynotes from food travel experts, leading chefs, restaurateurs and food and drink providers, hotel, hospitality and travel industry professionals and key influencers in soft power and culture as well as technology change agents will all bring latest trends, best-in-class thinking and cutting-edge innovation to our cross sector audience. An essential ingredient of touRRoir is audience interactivity, open debate and networking. Expect a lot of creative audience participation both in the room and via social media! The Hall of Fame Collaborative Gala Dinner as well as the Networking breaks during the Forum, the Cross Sector Experiential Reception after the Forum and later the Networking Food and Drink Showcase Dinner bringing the top chefs and food and drink producers together – to serve the best of local Irish produce and cuisine with special acknowledgement for Galway and the West of Ireland’s status as 2018 European Region of Gastronomy – will all provide incredible learning, networking and commercial opportunities to do business. touRRoir18 – A Flagship Event – Galway, West of Ireland 2018 European Region of Gastronomy. So if you are working at a decision making level in or across the Food, Tourism and Culture sectors and if your success is influenced by interaction between the sectors – then you need to get to touRRoir18 – to hear the debate, be inspired by the stories and work out how you can improve your chances of success through better cross-sector understanding and practical collaboration. Tourism Hospitality Industry Leaders, Hoteliers, Restaurateurs etc. If your business touches any one of these three strands, then you absolutely need to be at touRRoir.